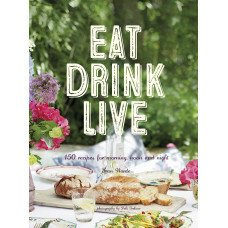 150 stylish recipes from chef and food writer Fran Warde. Accompanied by inspirational lifestyle photography, these simple recipes are designed to leave time for sharing with loved ones - because cooking is one of life's pleasures. 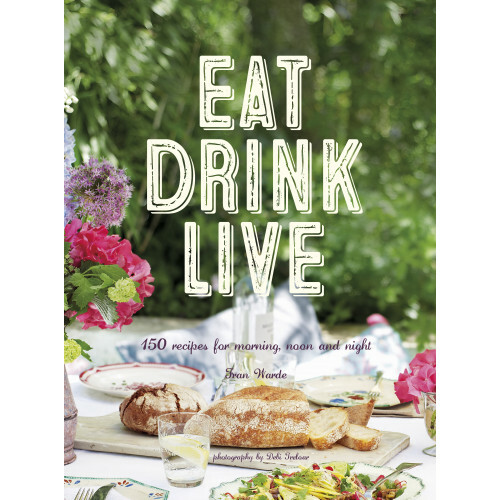 Eat, Drink, Live celebrates the good things in life - simple, delicious food and the timeless joy of sharing meals with friends and family. Fran Warde's philosophy is 'to give people the confidence to cook and laugh in their own kitchens', using ingredients that are readily available at the local supermarket. Here she offers 150 easy, stylish recipes, plus inspirational table decorating ideas for flowers, table linen and candles. There is something for every occasion and every time of day - from a weekend brunch with friends to a romantic dinner for two, a lunchtime snack at work to perfect party food. With a mixture of irresistible food photography and inspirational lifestyle photography all by leading photographer Debi Treloar, this is a book you will turn to time and time again.